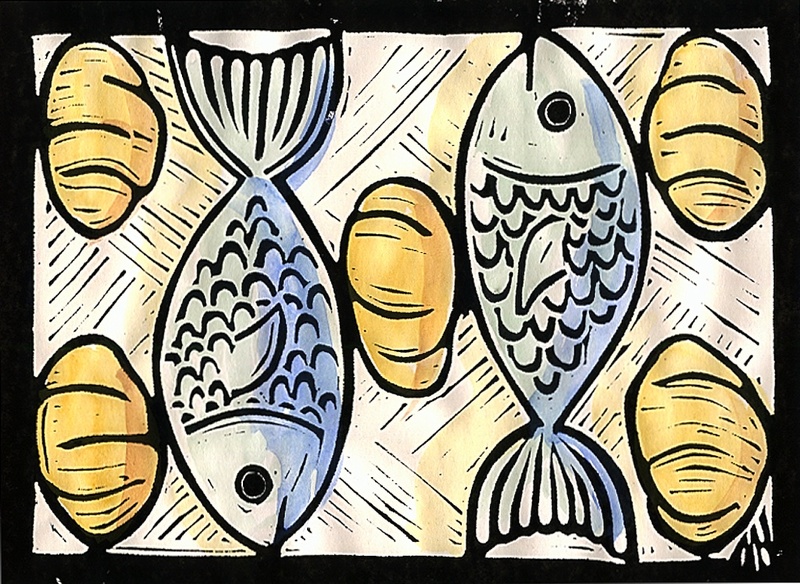 ‘For the bread of God is that which comes down from heaven and gives life to the world’. John 6:24-35. The Spirit of God flows from and through all life. 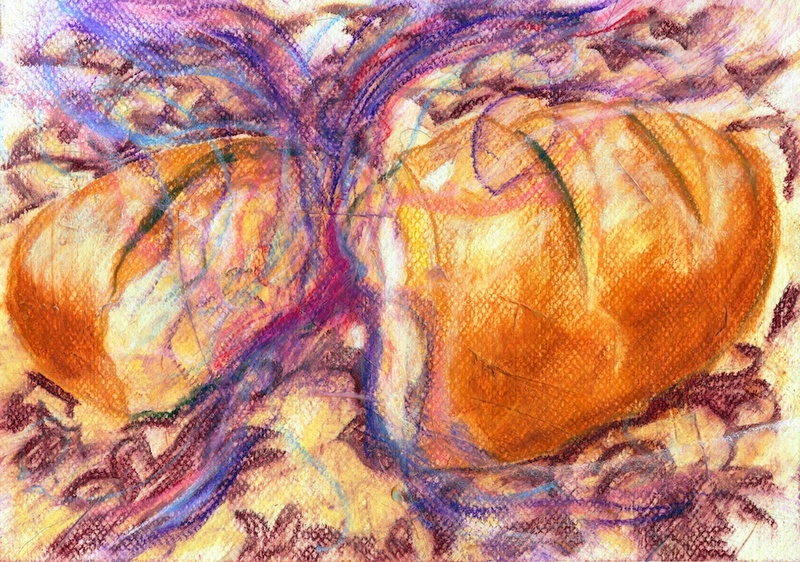 This entry was posted in Mixed Media, Pentecost, Year B and tagged bread on August 3, 2012 by Mark. 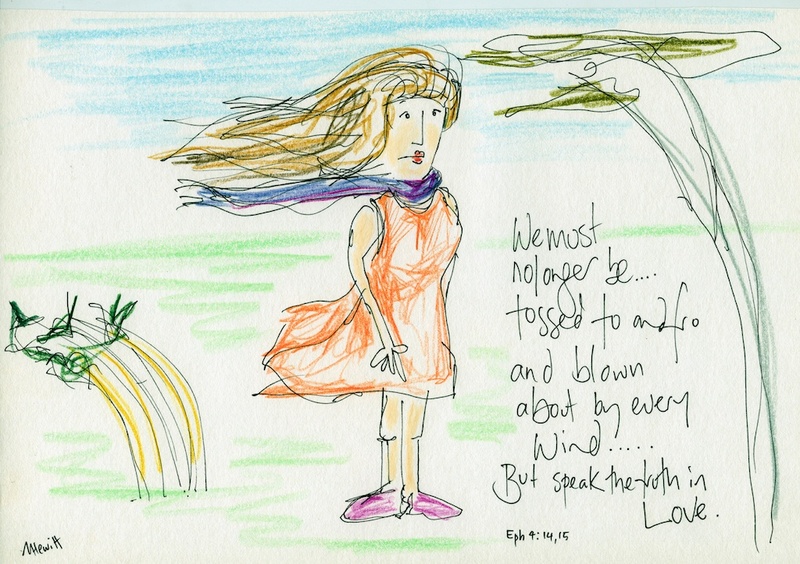 We must no longer be … tossed to & fro and blown about by every wind … But speak the truth in Love. Ephesians 4:14,15. The encouragement is to stand firm and face of the strong winds around us that wishes our faith to bend before it. Stand firm & respond in love. Ephesians 4:1-16. Pentecost 10 Yr B. 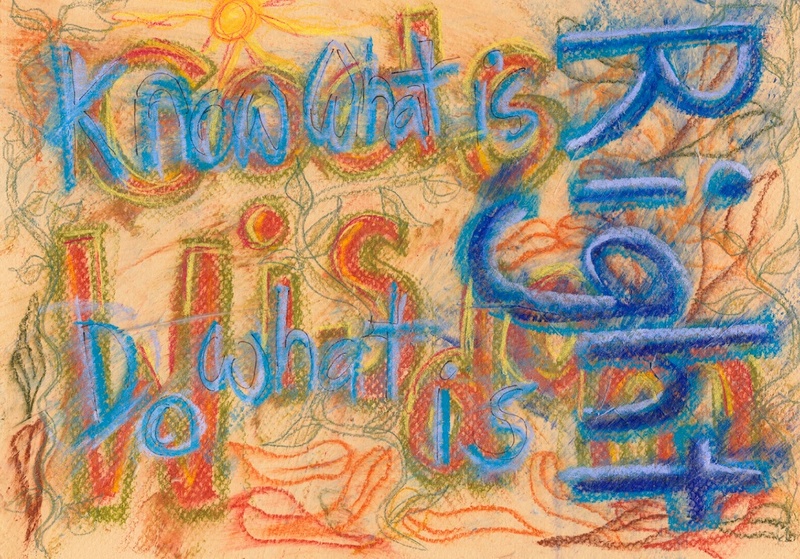 This entry was posted in Mixed Media, Pentecost, Year B and tagged faith on August 1, 2012 by Mark. 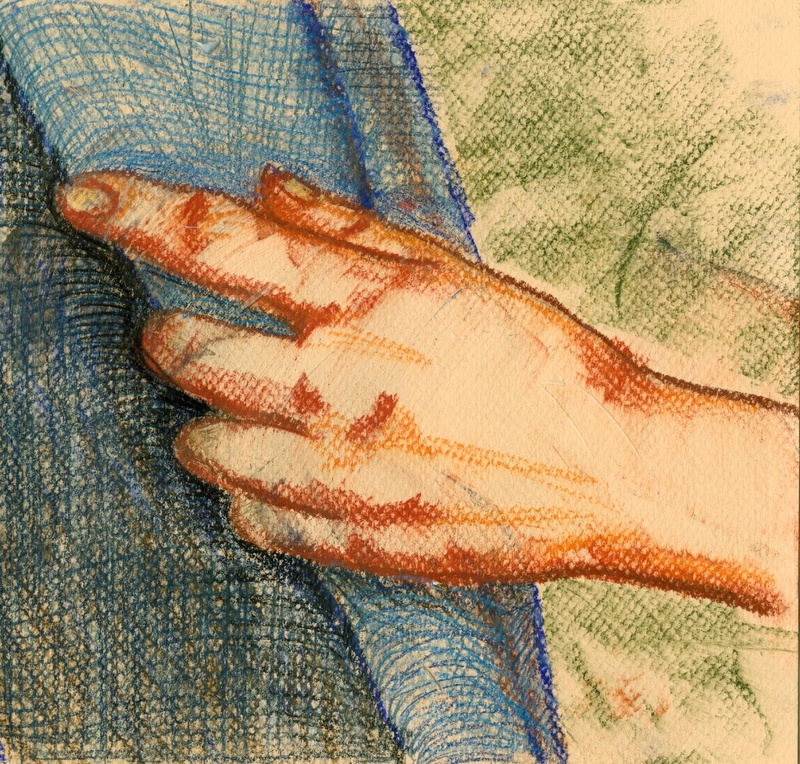 Mark 6:56 ‘….. that they might touch even the fringe of his cloak; and all who touched it were healed.’ Pastel & pencil. 21 July 2012. This entry was posted in Year B on July 21, 2012 by Mark.